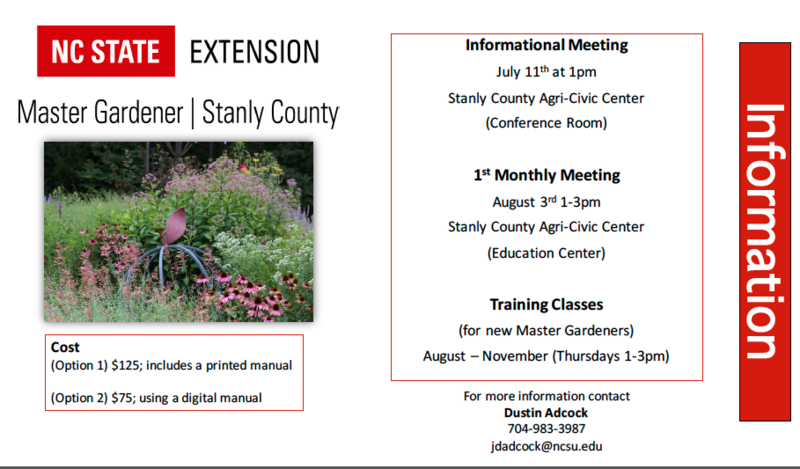 Beginning in August, Stanly County will once again have a Master Gardener organization. Participants must complete 40 hours of instruction and 40 hours of internship/volunteering. Contact jdadcock@ncsu.edu for more information.